Freedom Mobile’s Band 4 LTE network is reportedly up-and-running, according to Reddit user shaz_y. According to a March 21st, 2018 Reddit post submitted by shaz_y, a speed test in North Brampton at 1:14am confirmed download speeds of 16Mbps and upload speeds of 2Mbps. Another Reddit user reported that their Band 4 speeds were not as impressive. Freedom Mobile launched its LTE network in November 2016. At the time, the only devices compatible with Band 66 LTE were supported on Freedom’s network. Since then, Freedom has been working on improving its LTE network so that it’s compatible with more devices. In late 2017, Freedom Mobile published an LTE upgrade timeline on its website that detailed its plans to upgrade the network using newly-acquired 2500MHz (Band 7) spectrum in dense urban area and existing AWS-1 (Band 4) spectrum across all markets. Though that page has now been removed, Freedom’s current LTE FAQ page states the upgrades will continue throughout 2018. The company purchased seven spectrum licenses from Quebec-based media conglomerate Quebecor in June 2017, enabling Freedom to roll out 700MHz (Band 13) and 2500MHz (Band 7) spectrum. Last week, a Reddit user discovered that Freedom had begun testing Band 13 LTE in British Columbia. 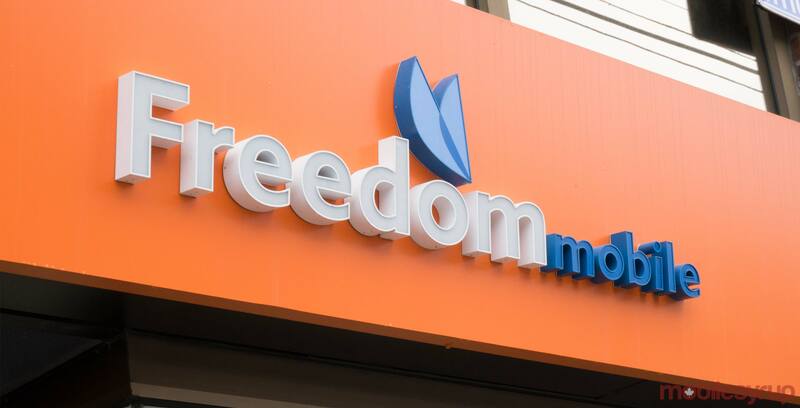 MobileSyrup has reached out to Freedom Mobile for comment, this story will be updated with a response.